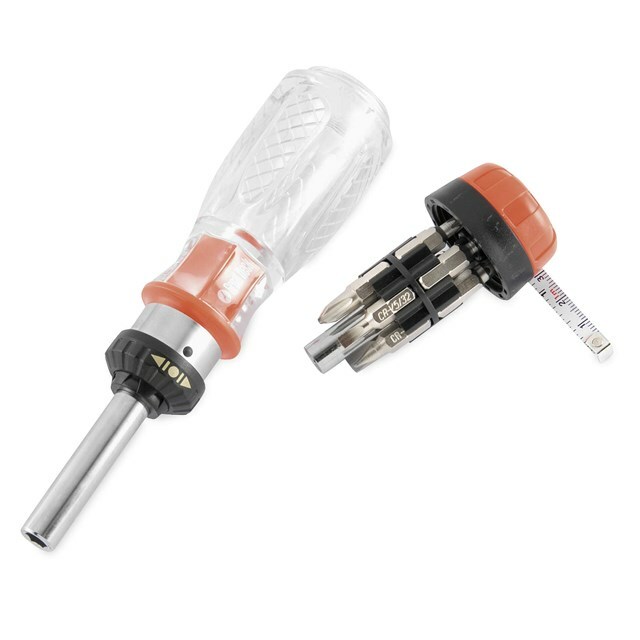 Better than the usual multi-tip screwdriver. This great multipurpose tool offers you 12 different tips. The driver shaft is a 4 mm-1/4 in. socket wrench and includes a 1 m tape measure in head. It comes with a manufacturer’s lifetime warranty.